Greg is currently the Managing Director of Global Investments for Wesley Clover, where he is responsible for portfolio management and international business development for portfolio companies. He previously served as Vice President of Business Development for Wesley Clover, where his role included strategic partnering, joint venture work, new geographic market entry initiatives and portfolio investment activities. Throughout his career in this industry, Greg was also Vice President of Corporate Planning for March Networks, the leading provider of innovative broadband IP video applications and solutions for the financial, retail, transportation, healthcare, government and commercial markets. He has extensive experience at a senior management level assisting technology companies of all sizes and phases, from start-up to large multinationals, in dealing with the strategic issues common to the high tech sector. 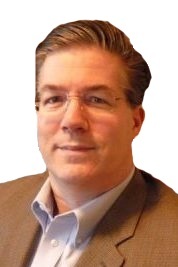 Jim is an accomplished wireless industry veteran with strong expertise in the 5G test and analysis market. 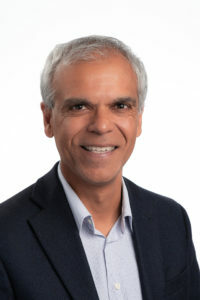 He has held senior level executive positions at PAR Technology, VIAVI Solutions, JDSU, GN NetTest, IFRS Systems, and Photon Kinetics, where he acquired in depth experience in developing strategic plans, developing hardware and SaaS solutions, leading organizational change and achieving double-digit growth. Jim is currently responsible for PAR Technology’s International Business in Europe, Middle East, China, Southeast Asia and Australia. He is a specialist in organizational transformation, global business development, board strategy, marketing and sales, product line management and development of high performance teams. 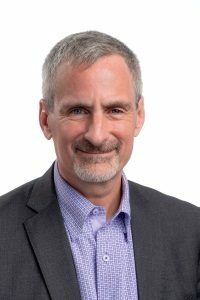 With four decades of combined public, private, and academic leadership experience,Dale is an award-winning subject matter expert in cybersecurity, intelligence and military matters. Dr. Meyerrose held the rank of Major General in the United States Air Force and was Chief Information Officer for the Director of National Intelligence. 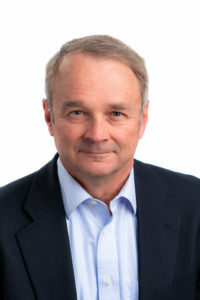 He is also Founder and President of the Meyerrose Group, a full-service management consulting company and is recognized as a results-oriented leader who aligns strategy and talent to create company-wide “digital threads” to promote innovation and achieve outcomes that exceed expectations. Dr. Meyerrose has been inducted into four Halls of Fame and honoured with nine lifetime achievement awards by various professional associations. 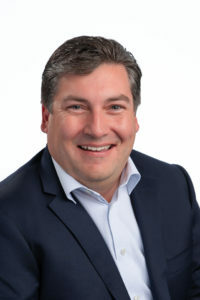 As a member of the Chartered Professional Accountants of Ontario, Todd brings nearly 20 years of industry experience to his current role as Chief Financial Officer at Harris Computer Systems. Working directly with the CEO of the company as well as the entire executive team, he ensures they meet or exceed all employee, customer and shareholder expectations. 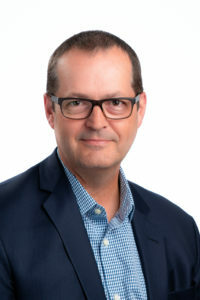 In addition, he oversees all financial, treasury, and information technology functions and plays a key role in business acquisitions.Throughout the years, Todd gained valuable experience working with various private and public companies such as Mitel Networks Corporation, where he most recently served as Senior Vice President, Finance and Corporate Controller. In this position, he was responsible for financial planning and analysis along with business operations support. Without a doubt, Richardson brings strong financial discipline to the company’s operations. Nikhil has over twenty years of valuable experience in the area of wireless. He is currently the Chief Technology Officer (CTO) at ThinkRF, where he works on wideband radio receivers for spectrum and signal analysis applications and is a product expert in his field. Prior to ThinkRF, Nikhil held engineering positions at Nortel and Communications Research Centre Canada. Nikhil has a BSc and an MSc from the University of Manitoba and a PhD from Carleton University, all in Electrical Engineering. Jim is a seasoned executive and corporate director with over 30 years of experience in privately-owned and public companies, as well as not-for-profits. Throughout his extensive career, Jim has sat on over forty boards and committees. He is currently President, CEO and founder of Stratford Managers Corporation, a company that strives to help organizations and their leaders achieve their goals and reach their full potential. Jim is a strong advocate for small and medium sized companies and provides valuable C-level advice on governance, strategy and operational matters. Prior to starting Stratford, Jim was a founding member of Newbridge networks where he helped the company grow to over $1.B in revenue. He was also co-founder, President & CEO of Tundra Semiconductor, where he contributed to the company achieving double-digit average annual revenue and profit growth.